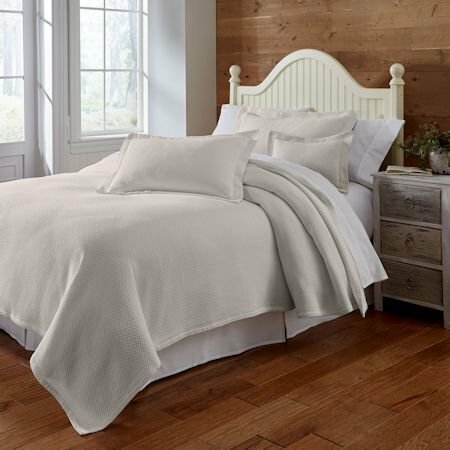 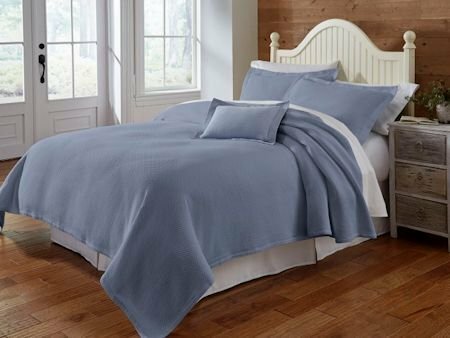 Stone washed coverlet BLAIR features a classic diamond pattern and flanged shams. 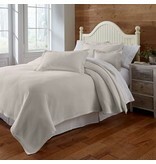 Available in 3 colors, Celestial Blue, Linen and White. 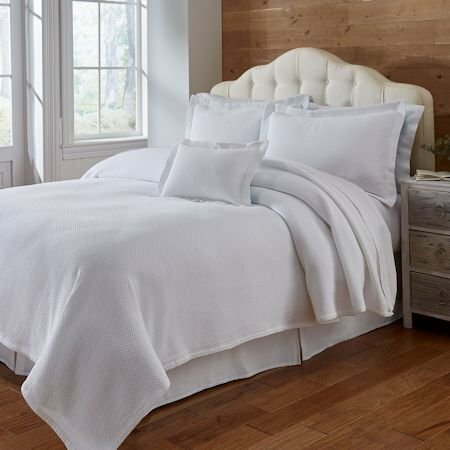 Linen verson is 10% linen and 90% Cotton.